Our Beautifully Messy House : Making Food Fun Again! 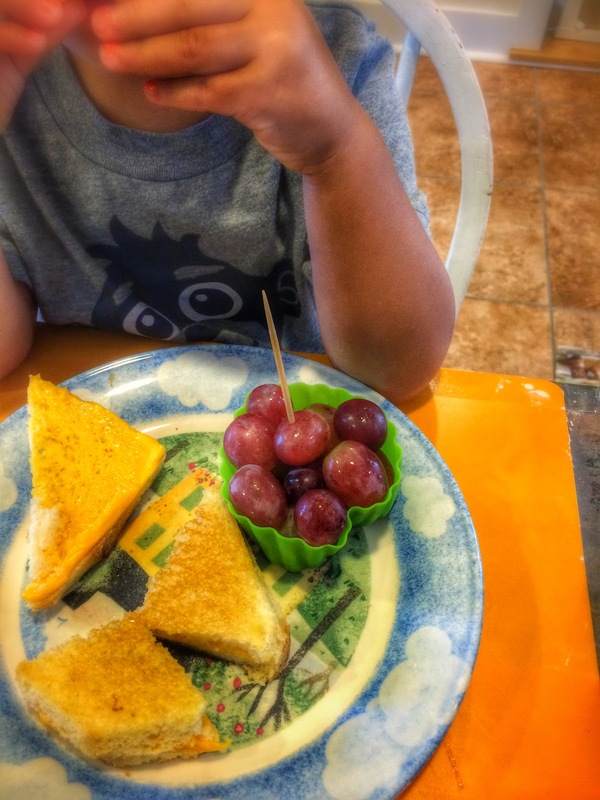 I don't know about you, but we definitely have a picky eater in our house. 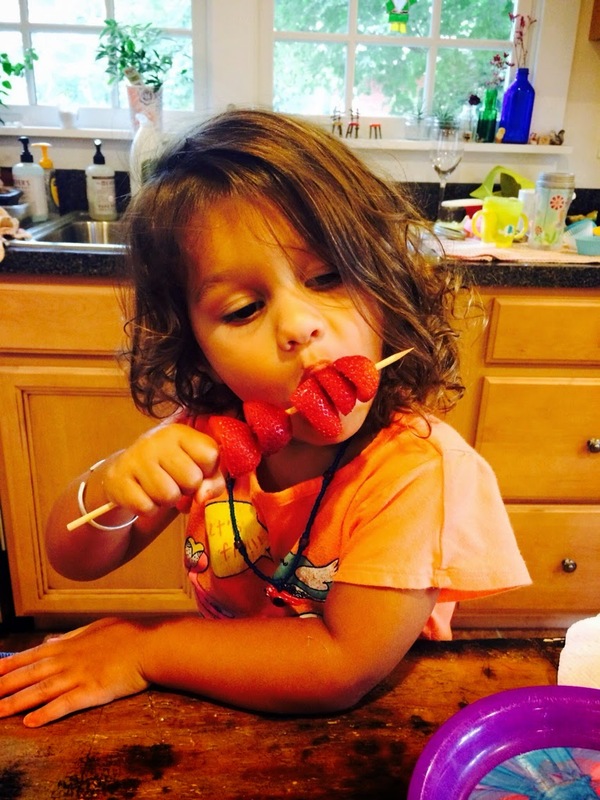 L is not a fan of most fruits or vegetables, so we have to be creative to get her near any of them! 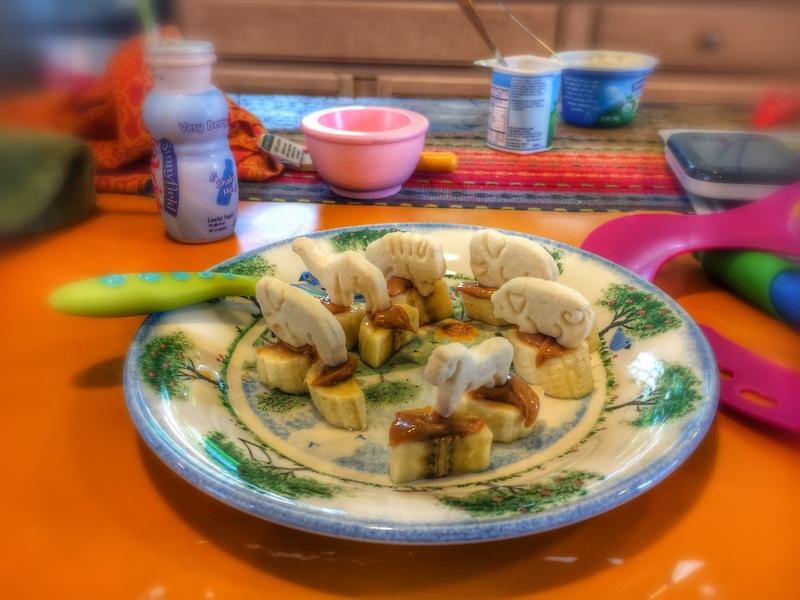 While many parents get upset with their kids for playing with their food, I figure if my kid is actually eating healthy, why not make it fun?! Here are a few of the quick and easy tricks we've come up with to make food fun again! Stack fruits or veggies on a shish-kabob skewer. Arrange foods in a funky and fun pattern with a dipping sauce in the middle. 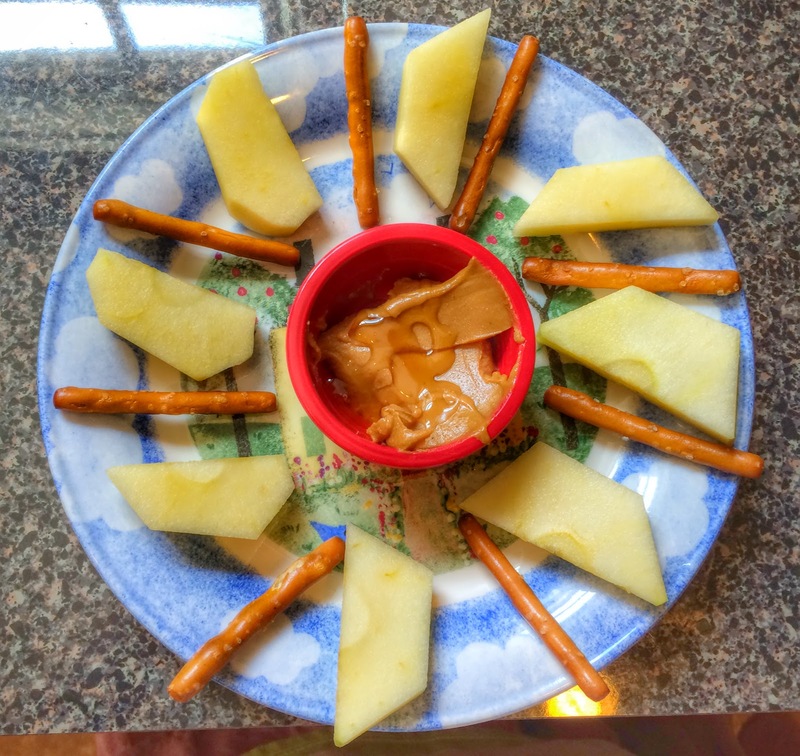 It can be as simple and easy as apple slices and peanut butter with a touch of honey. 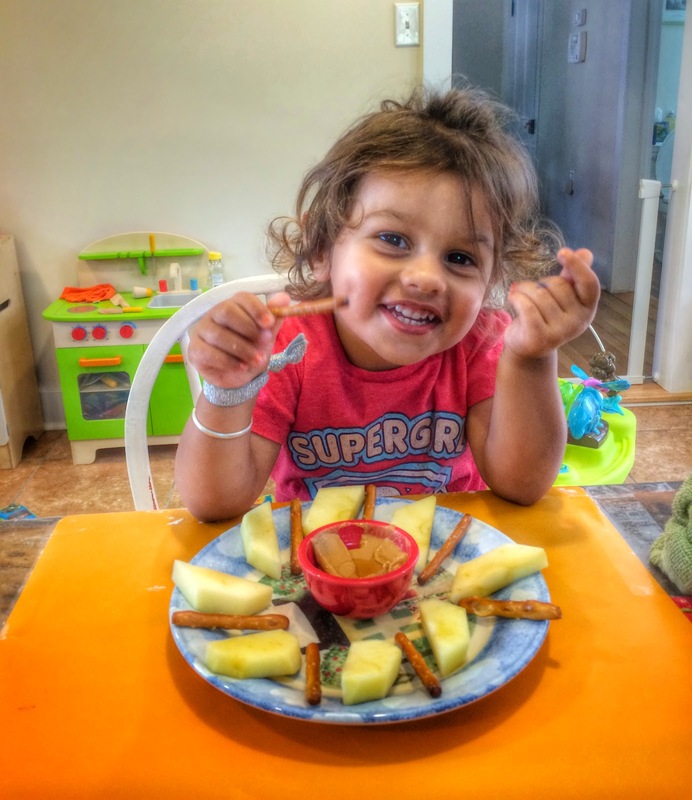 Kids love dips! 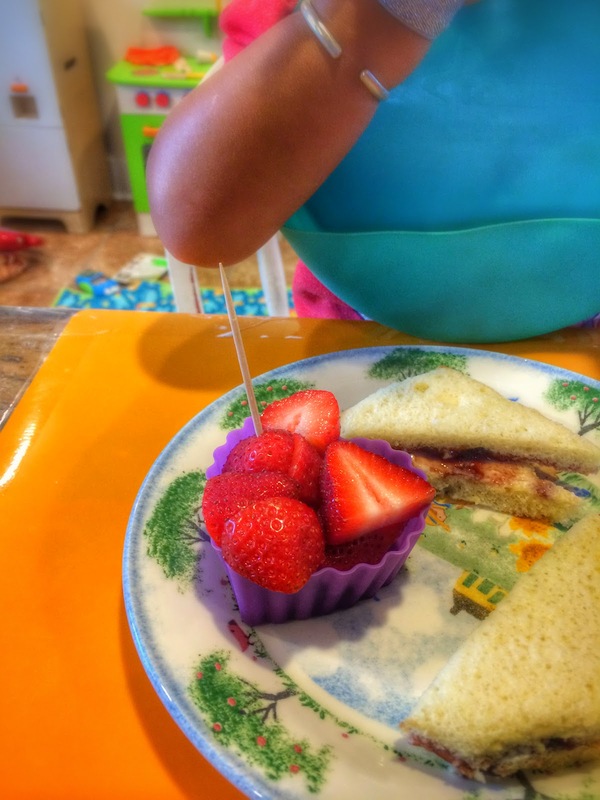 Put fruit in a silicone muffin cup (or any colorful cup) and give your child a toothpick to eat it! 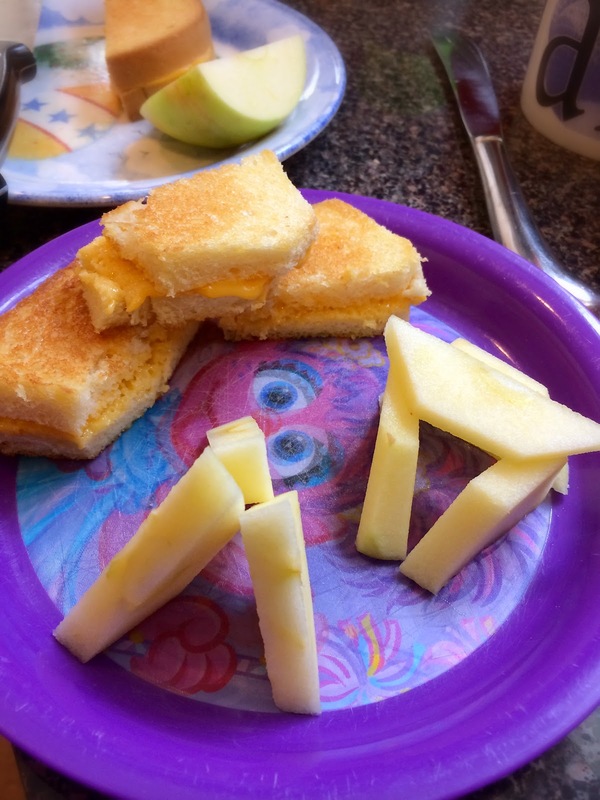 Stack up fruit slices and your kid's sandwich and tell your them you've made fairy houses and rocket ships for lunch. It's silly, but it works! I personally don't agree with forcing kids to eat and try my best to avoid any arguments over food. So far our little tricks and games seem to work! What tips or tricks have you come up with??? Please share in the comments section below...we're always looking for new ones!